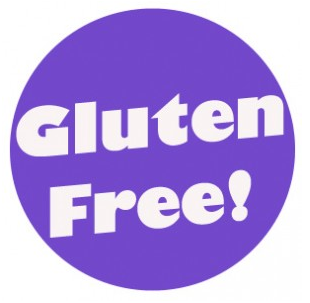 The talk about gluten and gluten free food is frequenting in our everyday food vocabulary. Just what is this gluten? Why are people obsessing about it? Is it really that bad for health? Gluten is a protein composite found in processed food. Gluten is that factor which gives elasticity to certain kinds of food. It is the factor which makes pizza stretchy, bread soft and our sauces thick. There are a huge number of people who might be sensitive to gluten and has really bad digestive issues due to over consumption of gluten. Celiac disease is one of the major problems caused by food with gluten which is characterized by severe diarrhea or constipation, bloating, fatigue and anemia. Gluten is most commonly found in grains like barley, bran, wheat or semolina. Naturally, all pastas containing wheat or semolina will be rich in gluten. Other important and common sources of gluten are baked or processed foods like cakes, bread, muffins, pastries and pizza crust. It is also found in oven or deep friend meats, hot dogs and other kinds of processed meat. The list of villains goes on and on. There is gluten in beer, salad dressings, gravies and sauces, potato chips, French fries and so on and so forth. You must be wondering whether there is anything in the world which is gluten free. Yes, there is. They are called fresh fruits and vegetables, healthy non processed meat and poultry, milk and milk products. Even though your parents had no clue about something called gluten, they warned you right about eating all that junk and falling sick, didn’t they? Well, you don’t need fancy sounding words, but mere common sense to stay healthy. Now that we know the fancy word called ‘gluten’, you can fashionably say no to junk and be an old fashioned, yet sophisticated modern foodie! Now say it aloud, I don’t do gluten! Everyone knows that eating fruits and vegetables is nutritious. But do you know why we have different colours for different fruits and vegetables? Not only because it will look nice that way. It is nature’s way to make sure that we get all the nutrients evenly. If you want a full round of nutrition, pick out a rainbow and eat it too. Fruits and vegetables might have the elixir in them to protect you from heart disease, strokes, blood pressure, cataract and even some kinds of cancer. 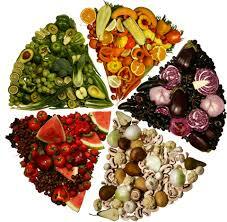 Here is the colour wheel take on nutritious fruits and veggies. Red vegetables and fruits contain nutrients like lycopene, ellagic acid, quercetin, hesperidin and much more. These nutrients are integral in reducing the risk of prostrate cancer, lower blood pressure, reduce the growth of different kinds of tumors, balance cholesterol levels and helps fight arthritis. Major fruits and vegetables: tomatoes, strawberries, papaya, watermelon, apple, oranges, cherries, red capsicum and pomegranates. Orange or yellow fruits and vegetables are rich in beta carotene, zeaxanthin, flavonoids, lycopene, potassium and vitamin C. These are helpful in fighting ageing, cholesterol and blood pressure. It promotes collagen formation and aids healthy joints. Major fruits and vegetables: squash, carrots, lemon, mango, orange, pineapple, pumpkin and sweet potatoes. Green vegetables and fruits contain chlorophyll, fiber, lutein, calcium, folate, vitamin C and beta carotene. These nutrients help reduce the risk of cancer and balance the cholesterol level. It also aids digestion and enhances the immune system. Major fruits and vegetables: leafy greens, cabbage, cucumber, green apple, bottle gourd, ladies finger, bitter gourd, snake gourd and green capsicum. Blue and purple fruits and vegetables contain lutein, zeaxanthin, vitamin C, fiber, flavanoids, ellagic acid and guercetin. These nutrients, apart from other benefits, act as anti-carcinogens in the digestive tract and limit the activity of cancer cells. Rich in beta glucans, EGCG, SDG and lignans, the white fruits and vegetables boost the immune system. These help reduce the risk of colon, breast and prostrate cancers by balancing the hormone levels. Major fruits and vegetables: bananas, cauliflower, garlic, ginger, mushrooms, onions, potatoes and turnips. 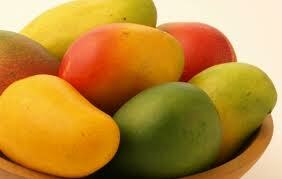 Mango is one fruit which can very well be called a super fruit. Most people find its taste and fragrance dear to their hearts, and it is loaded with nutrients. It is the healthiest treat you can offer yourself this tropical summer. This exotic fruit has the power to blow your mind, whether you have it as the real fruit itself, make milk shakes or juices out of it or even go for the more sophisticated mango cheesecakes or mango shrikand. Apart from the obvious tasteful reasons, there are seven other reasons why this exotic fruit should reach your plate. The fruit is rich in pre-biotic dietary fiber as well as vitamins, minerals and antioxidants. It is found in new researches that the fruit is helpful in protecting against colon, breast, leukemia and prostrate cancers. Mangoes are the best source of Vitamin A which is essential for good vision and proper functioning of the mucus membranes and skin. It is also a good source of potassium which helps control the heart rate and blood pressure. It is also a good source of Vitamin B6, Vitamin C and Vitamin E. These vitamins protect you from infections, enable sufficient hormone production within the brain and reduce the risk of getting a stroke. It also contains moderate amounts of copper which is helpful in the production of red blood cells. Last but not the least; the mango peel is rich in phytonutrients which are essential for the human body. If you get yourself addicted to junk food or processed food, it might be really hard to say bye to them. But by doing so, you are improving your health in more big ways than one. Incase you are doubtful about what real harm processed food can do to you, read along. On every packet of processed food these days you will see a lot of claims for being low fat, low carb, added vitamins, zero trans fat and so on and so forth. But the real deal is that how much ever low fat literature they write on their covers, they are the number one culprit in creating an obese generation in India. Coronary heart disease, diabetes, stroke and cancer are some fatal diseases you might have if you fall in this processed food rut. Processed food might appear easier and cheaper now, but it will cost a lot to treat for the health hazards they induce in your life. 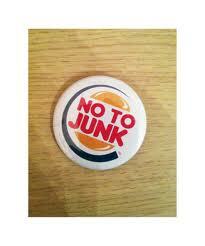 Do you know that most processed food will never rot even if you stock it for months and years altogether? Are you sure you want to stomach something that doesn’t degenerate or digest well? Processed foods have either too much salt, sugar or oil or perhaps all of it. There is a limit to the sugar or salt human body can consume safely and processed food manufacturers don’t seem to take care of that. Do you know that by consuming white bread, you are consuming nothing but empty calories with minimal nutrition as opposed to the healthy wholegrain bread. They are also one reason why your body weight is skyrocketing. Check out the unpronounceable chemical ingredients present in all the processed food you plan to eat and decide whether you really want to eat that junk. The calories listed on packets do not really help you in maintaining the amount of calories you eat or burn. What really matters is whether you are earning good calories from whole foods which have nothing bad to offer you. It also makes you happy when you eat a banana and know that you are eating a banana. When you are eating some sort of flavored crispy fries that come in flashy packets, you are not sure about what exactly you are eating.